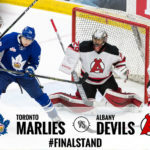 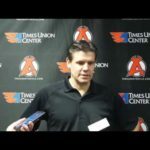 TORONTO — The Albany Devils North Division Final series against the Toronto Marlies came down to the final game and the final 2 minutes and 30 seconds. 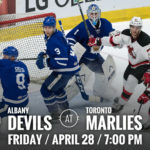 Richard Clune found the back of the net in the dying minutes to give the Marlies a 4-3 victory and advance them to the Eastern Conference Final against the Hershey Bears. 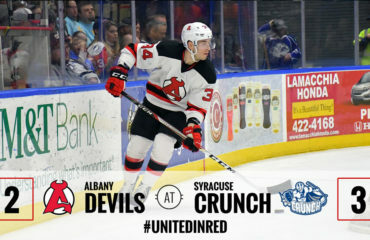 The Devils held a 2-1 advantage early in the third period when Nick Lappin scored his fourth goal of the series to give Albany its first lead of the game at 2:41 of the third period. 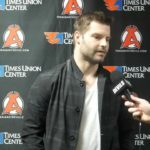 The Marlies came storming back. 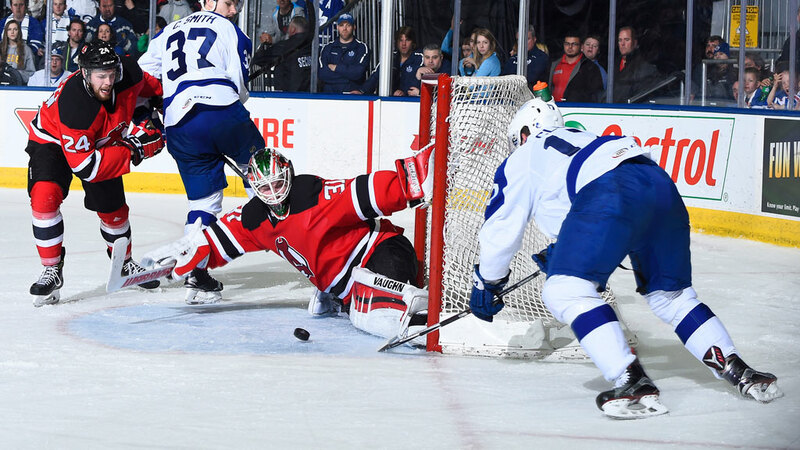 First Kasperi Kapanen’s laser from the left wing beat Scott Wedgewood at 9:07. 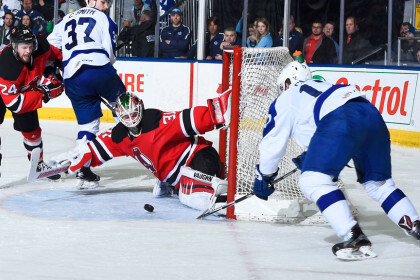 Kapanen than setup Connor Carrick to make it a 3-2 score at 12:59. 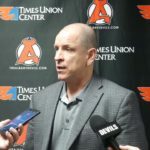 Less than three minutes later, Paul Thompson scored his second goal of the game, picking the upper-right corner at 15:19. 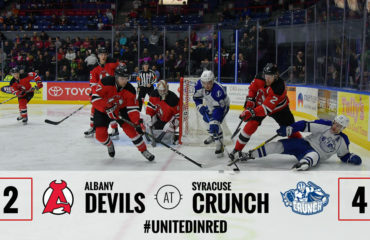 The epic series between the two top teams in the Eastern Conference appeared to be heading to overtime until Nikita Soshnikov deflected Stuart Percy’s point shot in the high slot. 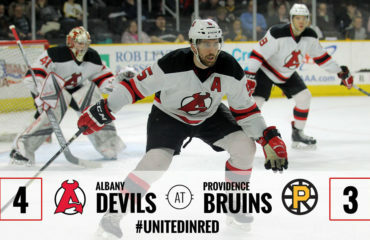 The puck deflected off the end boards and Clune was at the right post for the tap in.